That lovely, glorious, beautiful time is upon us once again, and at T/m, our year definitely revolves around it. Our cases are full of memories from Christmases past, and our halls echo with the nostalgic exclamations of children and children-at-heart, both for the toys they had and the toys they longed for. 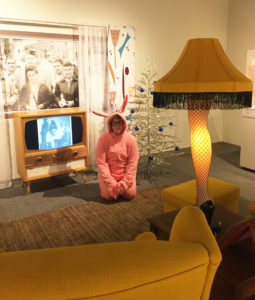 Our official holiday season begins just before Thanksgiving when we put up our big Christmas tree in the museum’s lobby. Over twelve feet tall, the tree is topped with a stovepipe hat, a nod to Frosty the Snowman. It is decorated with glass ornaments, including several Santas donated by long-time volunteer and miniaturist Bud Koupal. 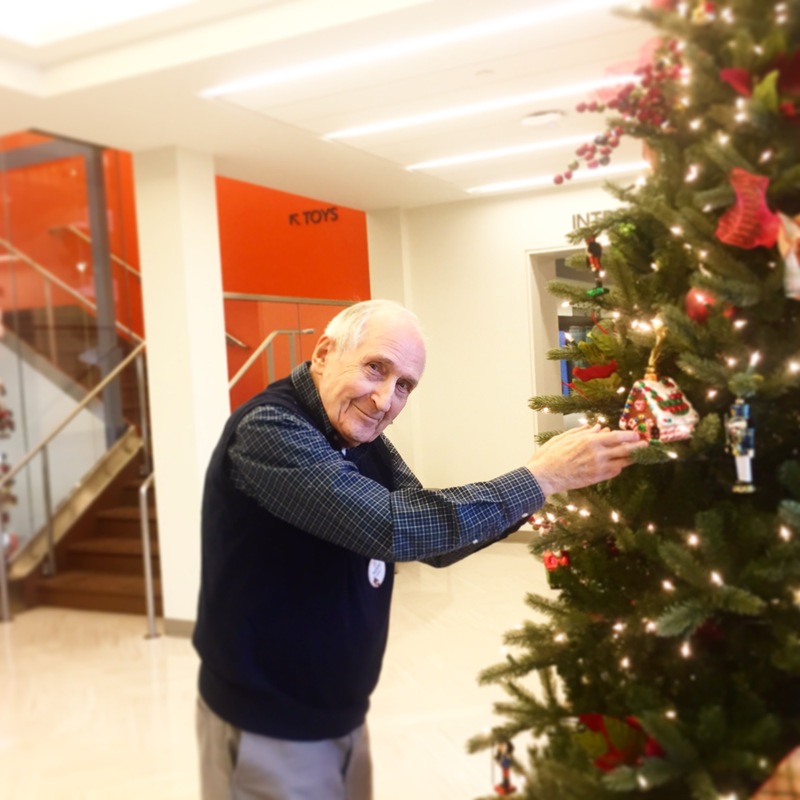 When the tree is ready, Bud hangs the finishing touch, a glass gingerbread house he and his late wife Jan purchased together at the Nelson-Atkins Museum of Art many years ago. The Tureman Education Center is decorated with a tree, garlands, and twinkling lights in preparation for our holiday workshop the day after Thanksgiving. For those who are looking forward to some family time on Black Friday, we hope you will join us this year in making your own miniature Christmas tree complete with ornaments and a tree skirt. 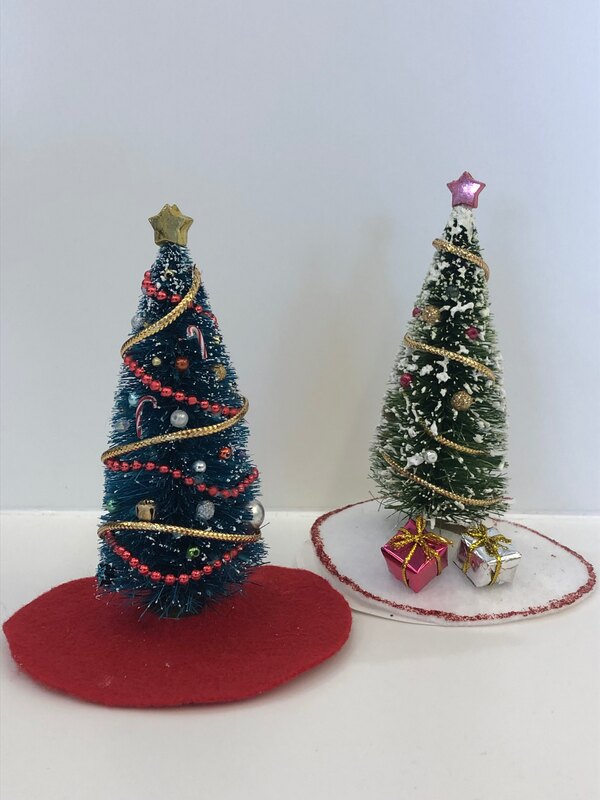 Our Playing for Keeps exhibit will also have its own silver tinsel tree to complement the mid-century theme of the exhibit. Collections Manager Calleen Carver has already posed for her holiday photo next to our MAJOR AWARD (leg lamp). Some of the halls we deck are very tiny. Twin Manors, the 1:12 scale Georgian mansion created by artist William R. Robertson, has its own set of miniature decorations. 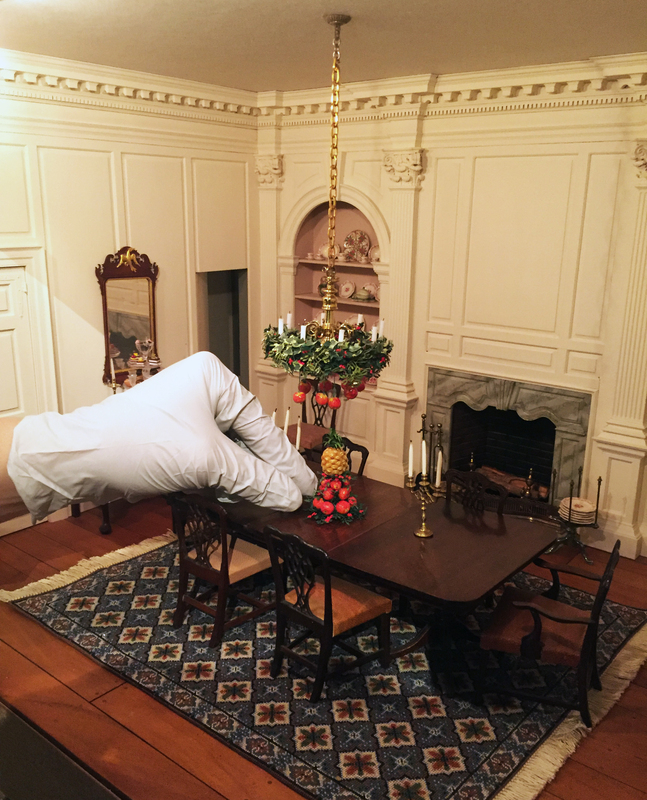 You won’t find a Christmas tree in this house because the custom was not popular in colonial America. Instead, it is adorned with petite boughs of evergreen and a holly ball that hangs in the center hall. The kitchen table is heavy with holiday treats that are waiting to be served in the dining room. Coleman House, the museum’s largest dollhouse, also has its own Yuletide decorations. 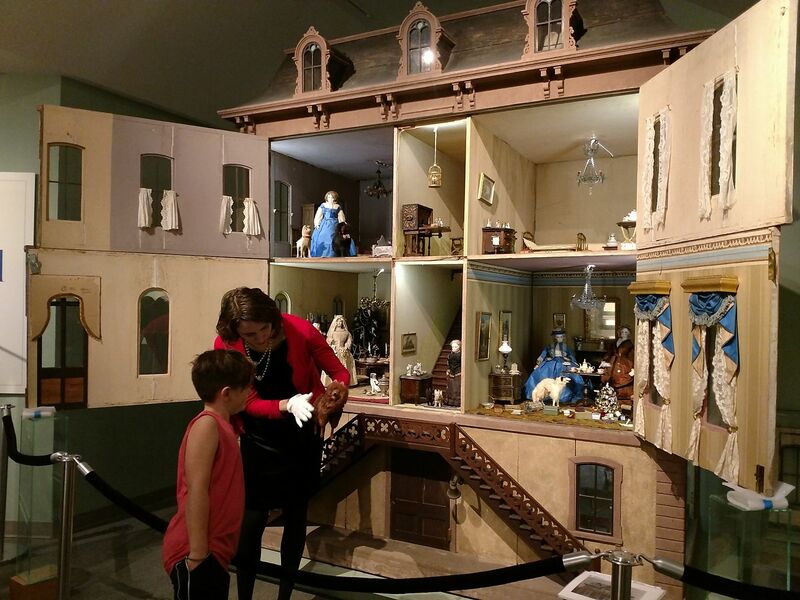 The nine-foot-tall dollhouse was built for the children of a Pennsylvania iron baron in the 1860s. A twenty-three-inch Christmas tree festooned with Victorian scrap paper ornaments stands in the dining room, and a delicate garland is laced through the balustrade of the center stair case. 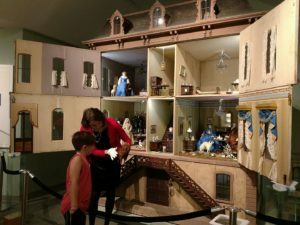 On December 1st, we will host the world’s smallest “open house”—the doors of the dollhouse will be unlocked and educator Katherine Mercier will give “tours” all day! Just a few feet away from Coleman House, Miss Mary will make her annual appearance in The Doll Gallery. 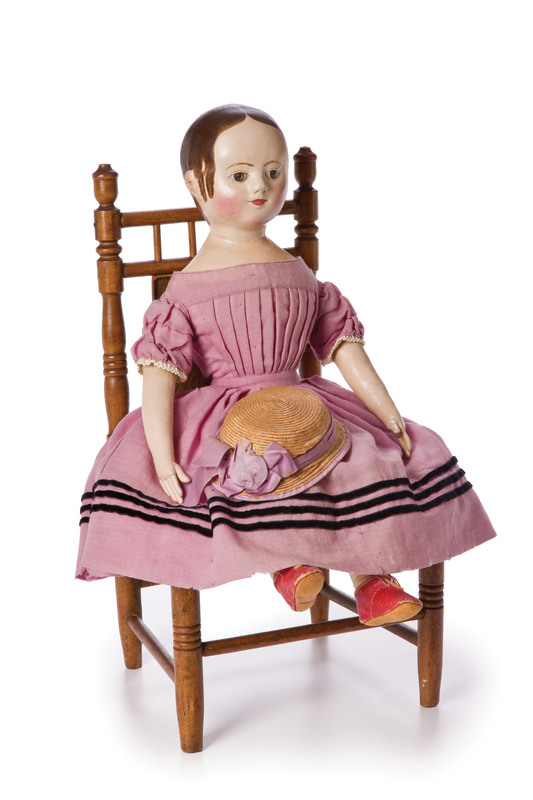 This rare and important doll was made by artist Izannah Walker as a gift for Mary Estelle Newell in 1861. Miss Mary presides over the season from Thanksgiving to Epiphany (January 6th), and then she settles in for a long winter’s rest (to preserve her for future generations). Amy McKune, the curator of collections, has assembled some additional holiday-themed miniatures to delight our visitors. 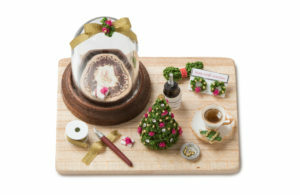 This includes a sterling silver menorah measuring just 2 5/8 inches high by William Meyers, needlepoint stockings in 1:12 scale by Martha Farnsworth, and a miniature of a miniature Christmas tree with trimmings by Nell Corkin. These will be on view until Epiphany as well. 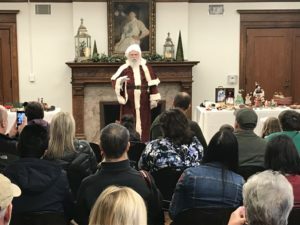 Father Christmas will make his annual appearance at T/m on Sunday, December 16 from 1-2:30 pm. Jim “Two Crows” Wallen, story teller extraordinaire, will be telling folk tales from all over the world. We’ll be serving cookies and cocoa, and Father Christmas will be available for sweet photos. The best thing about this time of year at T/m is, by far, the visitors who have made us part of their holiday tradition over the years. We treasure the stories you share, and we love that our programs and exhibits have been woven into the fabric of your family memories. We hope that over the next few weeks you will find time to join us once again!